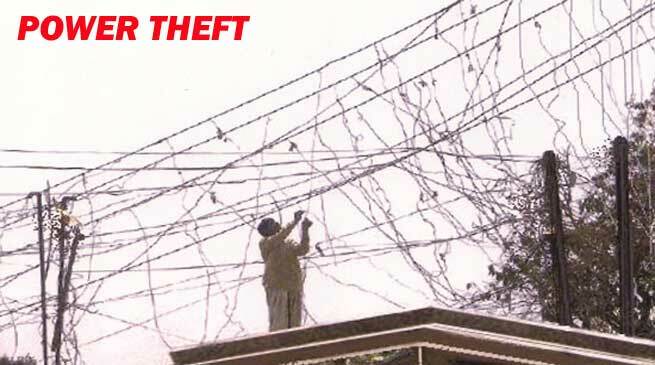 Taking a serious note of power pilferage, the Hailakandi district administration directed the AGM, APDCL to file police cases against those who are resorting to power theft immediately. The directions came after a meeting was convened by District Development Commissioner, Arunava Dey with CEO, Badarpur Electrical Circle and AGM, APDCL, Hailakandi at his office chamber recently. The district administration asked the police administration to conduct night patrolling for detection of illegal and unauthorized drawal of power through hooking, tampering etc. The district administration asked the Superintendent of Police to provide police protection during disconnection drive owing to unauthorized use of power or non-payment of bills, as in the recent past there were some instances of physical assault on employees of APDCL. In this regard, it viewed very seriously that actions were not taken against whom cases had been registered and asked the OCs of concerned police stations to initiate ‘quick steps’ on the basis of FIRs lodged by APDCL. The administration directed the APDCL to take action against the habitual defaulters by disconnecting their lines and to issue red notices to consumers for erring on payment of their bills for two consecutive months. APDCL, Hailakandi is incurring losses of Rs 55 crore per month due to power theft and non-payment of bills. In this context, the administration appealed to the consumers to make timely payment of electricity bills to enable APDCL to increase its revenue and ensure better services to them. In case of arrear dues from Government offices, the administration asked APDCL to issue notices for payment of bills.